Toronto Pearson International Airport, Canada’s busiest airport, is well served with international and domestic connections. 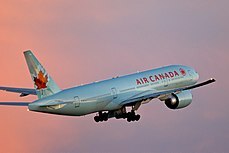 For participants planning to attend the ICDE World Conference on Online Learning, please visit the conference site for more information on discounted rated with Air Canada. Union Pearson Express will take approximately 25 minutes from the airport to Union Station downtown. The train departs every 15 minutes from 5.30am to 1.00am daily. Taxis to hotels in downtown Toronto will take 30 – 40 minutes (depending on traffic) and will cost around $60. The Government of Canada has specific requirements for visitors to Canada and international participants may require a visa or other travel documentation. All prospective participants must check the Government of Canada’s website to determine if you require an Electronic Travel Authorization (eTA) or a visitor visa to to attend the meetings.